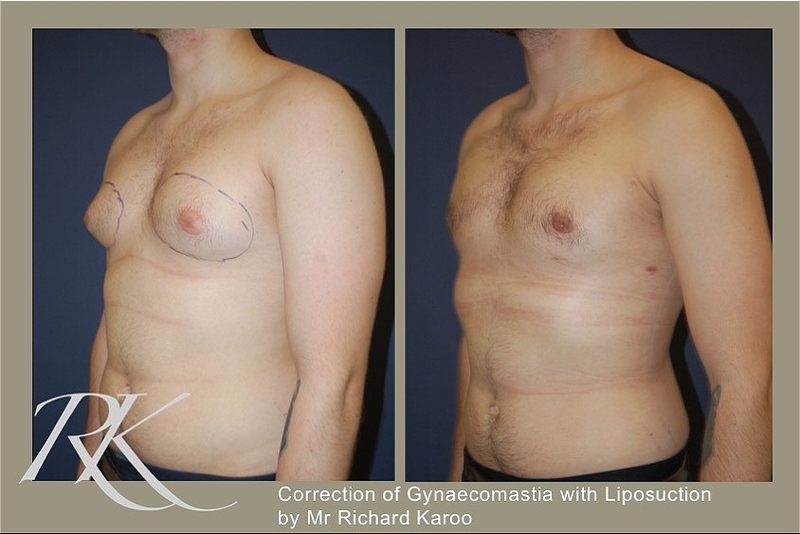 Gynaecomastia (enlarged breasts in males) is a common condition that can affect men of all ages, and can be a source of embarrassment, low self-esteem, and immense psychological distress. It affects approximately 40-60 percent of men, and its cause can occasionally be related with certain drugs or medical conditions. 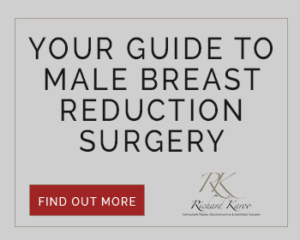 Men with this condition who feel self-conscious about their appearance can be helped with male breast reduction surgery. 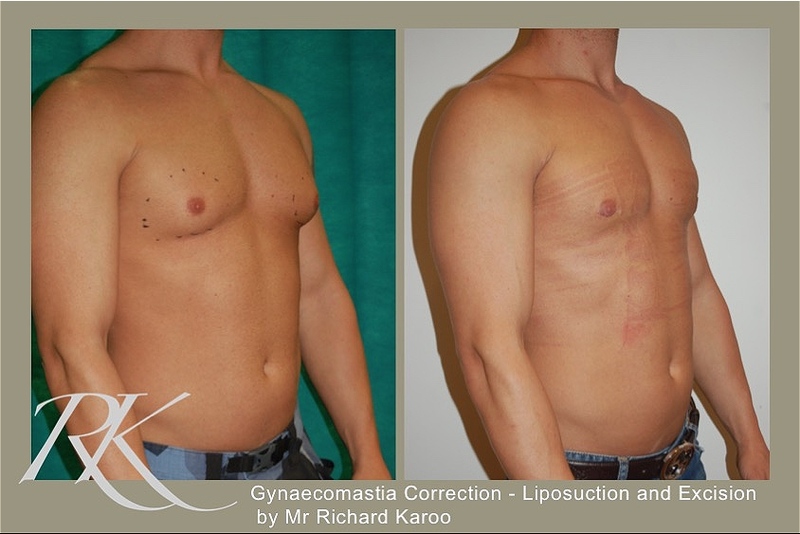 The surgery aims to produce a flatter, firmer, and more masculine chest contour by removing excess fat and glandular tissue from the breasts. 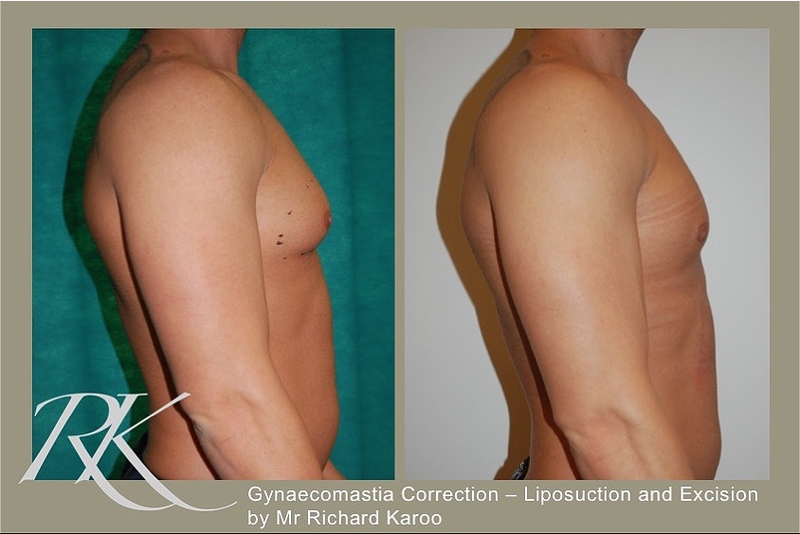 This can be achieved by liposuction alone or through a combination approach involving direct excision and liposuction. In extreme cases, removal of excess skin may be required. 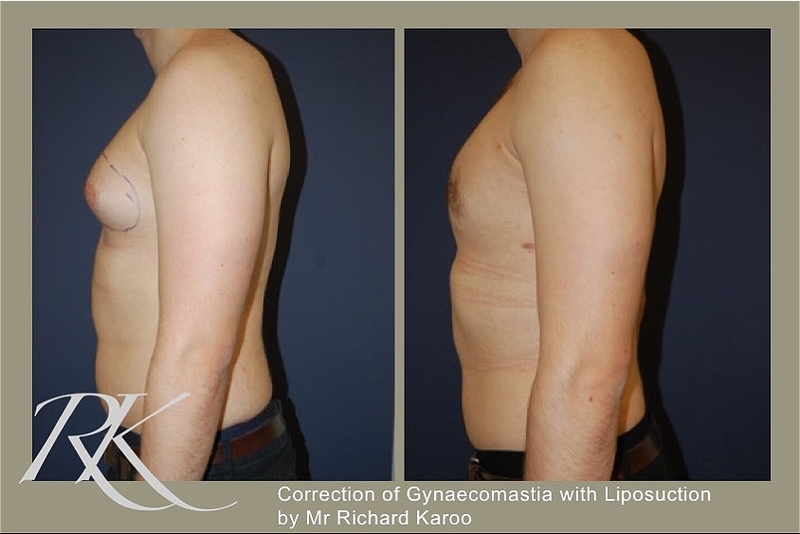 A compression garment is worn after surgery to help achieve a smooth chest contour. Results from this procedure are long lasting and the procedure carries a very high rate of patient satisfaction.